There are so many opportunities to become an all-star marketer in this digital age. In the mobile space, apps were one of the first big attempts in engaging today’s always-connected customer, but while effective, many brand apps have only been able to capture a limited portion of their target audience. A marketer’s strategy, however, must go beyond its app to reach customer-engagement nirvana, and this is why mobile wallet has emerged as one of the most powerful mobile marketing channels today. 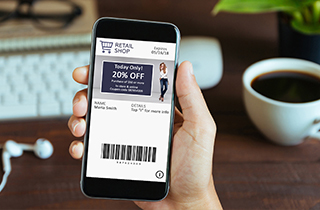 It opens a world of possibilities beyond a payment function, offering a perfect method for delivering coupons, rewards, tickets and other items straight to a consumer’s smartphone, at a single location where they can easily be found and redeemed. To help brands better unlock the full power of mobile wallet passes, we’ve just created a new guide called “The Mobile Wallet Channel: Not Just For Payments Anymore.” The guide explains the critical parts of mobile wallet passes, use cases for customer offers, four phases of customer engagement, and case studies, and I invite you to download it below. After you read it, I’d love to hear your thoughts on how mobile wallet passes can amplify your marketing strategy.